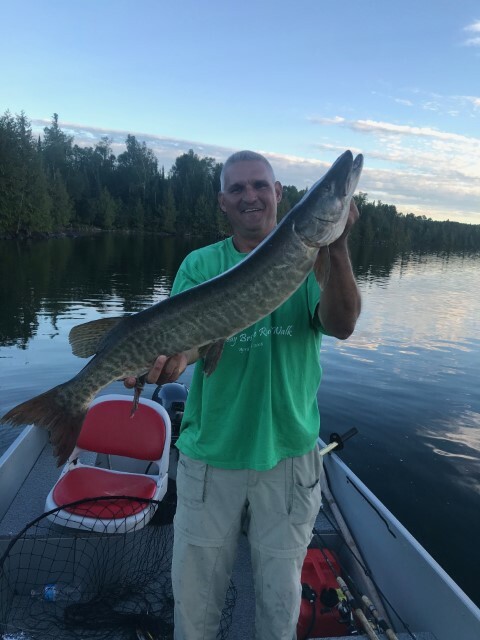 Joe Reid has been fishing in Canada for over 38 years. 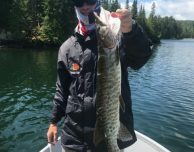 There are many ways to enjoy your dream fishing trip, but for Joe and his son Carson they chose to do a fly-in fishing trip with us at Kay Lake. 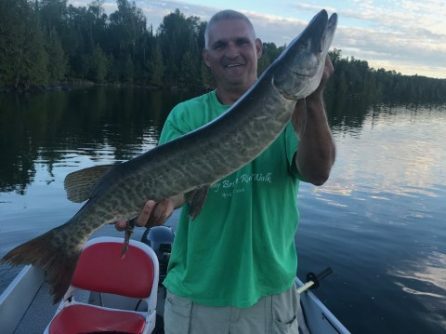 Trophies come in every species here; Smallmouth Bass, Lake Trout, and their favorite challenge, the hunt for the mighty Musky! With everything Kay Lake has to offer, it’s an easy choice for your fly in fishing vacation. 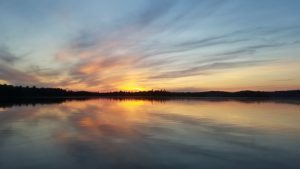 Waking up at sunrise, overlooking the beautiful Kay Lake; your only job is to head down to the dock and gather your gear to prepare for a day of fishing. After enjoying a few hours on the water, it’s time to collect your bounty and pull up on a ruggedly yet beautiful shoreline for the ultimate Canadian shore lunch experience. 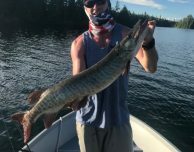 Catching the fish of a lifetime is everyone’s dream, but for Joe, he had never dreamed of having 4 Musky follow his line at one time. 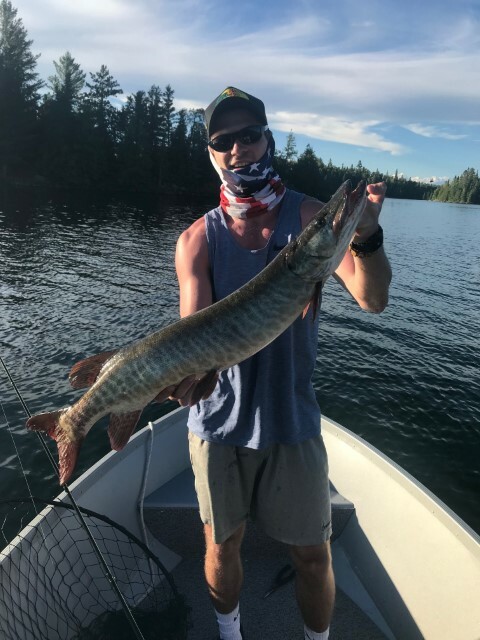 Carson ended up catching his first Musky, an exciting experience to add to his ever growing collection of fishing stories! To say the least, they loved the experience of the remote fly-in fishing, and never dreamed to have such nice accommodations. A father and son bonding and making memories on the lake, makes the time spent together even more special. 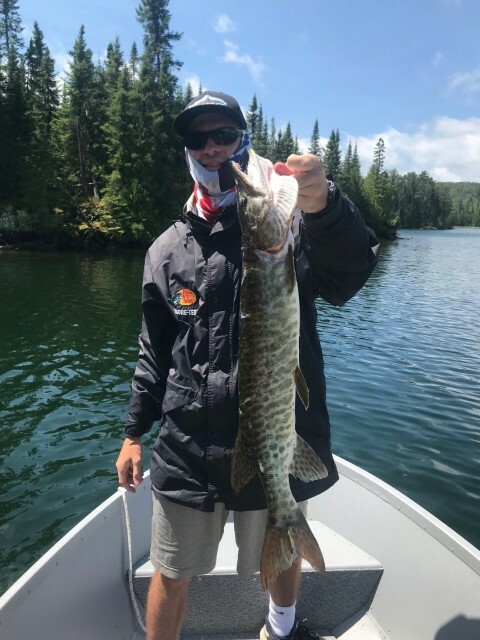 We’re so happy that Joe chose us for their fishing trip, Carson is left with experiences to last a lifetime, learning to cast for Muskies with his father!